Being at the end of 2010 I can only say this year has been very interesting. I have taken two weeks leave vowing to recharge my batteries to enable me to be battle ready for the year to come. So it is all about spending time with family and friends, catching up with people that I have not seen much during the year and most importantly having some mojito’s. 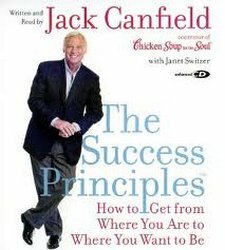 BUT it can’t all be about parties so to assist me with my goal setting and as part of my preparation for 2011 I have decided to work through the book “The Success Principles – Jack Canfield”. I will try and give you an overview of the book as I work through it. So far it has been very interesting. The assistance with goal setting has been great and I would really recommend this to anybody looking for some guidance with the 2011 year to come. Keep visiting my web page for updates on this book.